March 26, 2019 Jeff no comments. 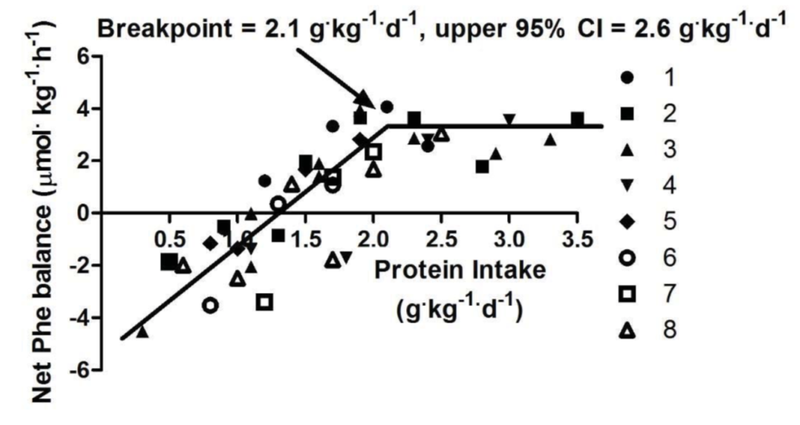 This is very understandable, as recommendations for protein intake can range more than 3-fold; from 0.4 to 1.2 grams of protein per pound of body weight! There are several reasons for this including the method used to determine how much is needed and the activity level of the people being studied. 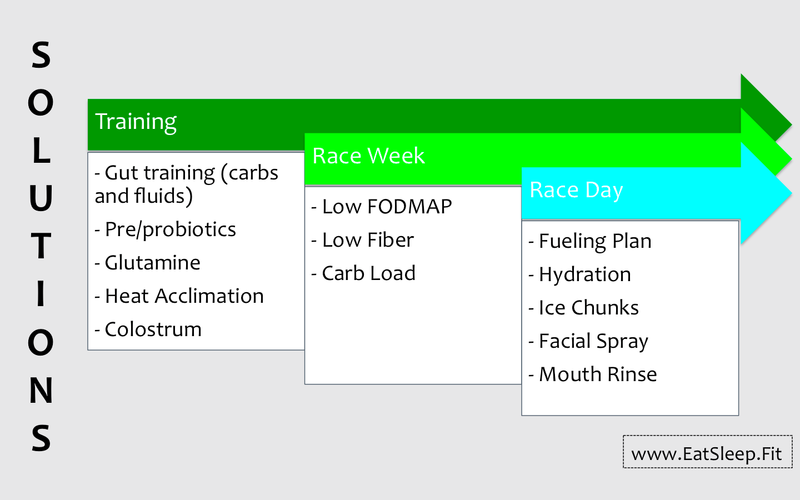 So, if I’m an endurance athlete, how much protein do I need? The latest research suggests that your body can/will use up to 1 gram of protein per pound of body weight. That seems higher than other recommendations I’ve heard? Yes. Current recommendations are based on data from nitrogen balance studies and can underestimate true protein requirements. A newer, and better method for studying protein needs is the indicator amino acid oxidation (IAAO) method. 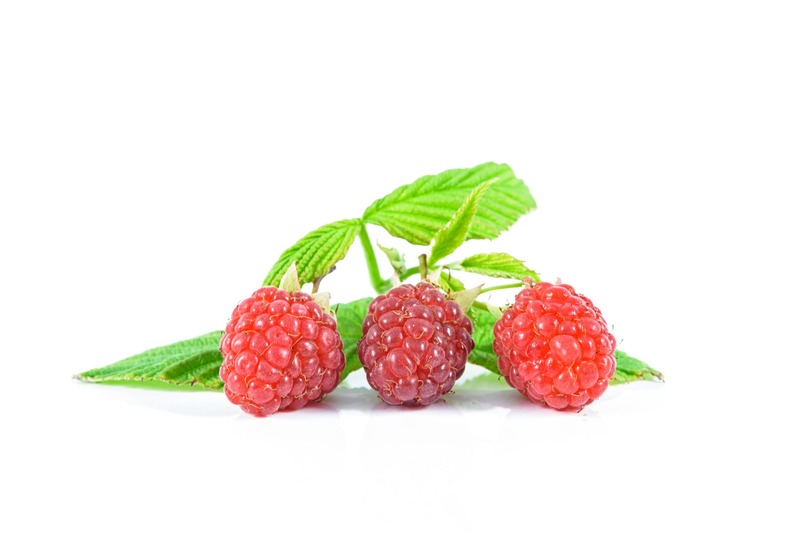 This is based on the concept that when one essential amino acid is lacking, then all of the other essential amino acids, including the “indicator” amino acid, will be oxidized. It’s really cool, and there are a number of advantages to using this method. 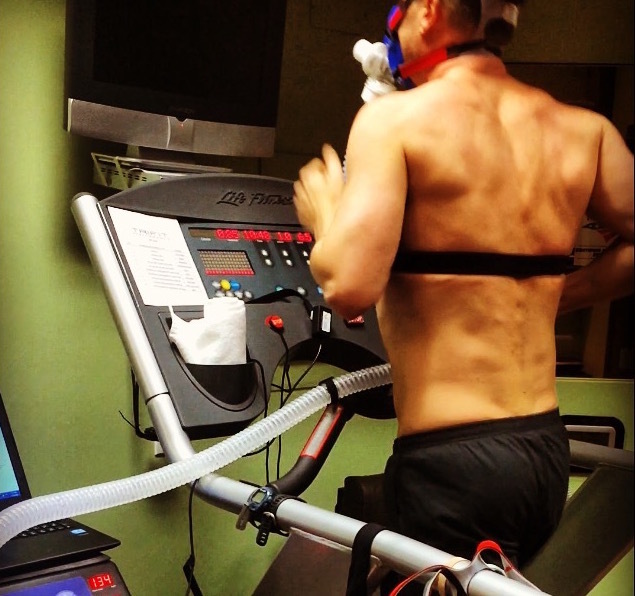 A recent study in endurance-trained men (training ~6 to 10 hours per week) used this method to determine protein needs. By feeding subjects varying amounts of protein per day, researchers could determine just how much protein their bodies were capable of using. As you see here, they were utilizing up to around 2.1 g of protein per kg of body weight (0.95 g per lb). Each of the symbols represents one of the eight subjects, who each consumed several different protein intakes on different days. As long as the line is increasing, protein is being used. When the line flattens out, it means the body is no longer needing that additional protein. This means the average protein requirement would be 2.1 g per kg of body weight (0.95 g per lb), and the recommendation that would cover 95% of the population would be 2.6 g per kg (1.2 g per lb). Does that mean you need to consume that much? 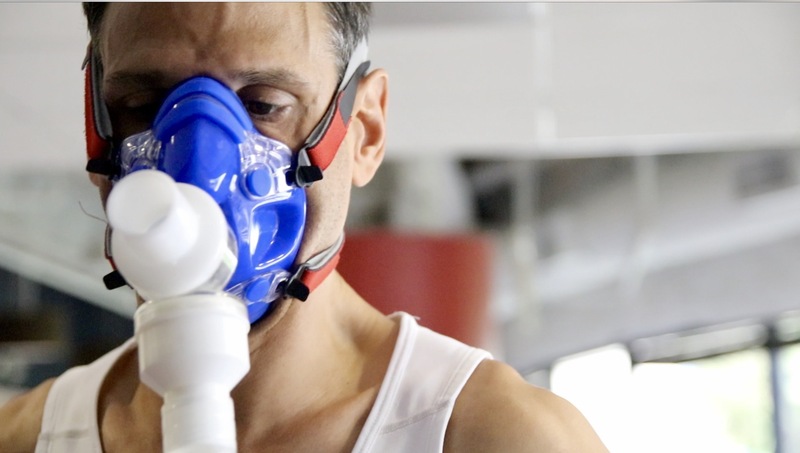 No, but for an endurance athlete who wants to get the best response from training, it makes sense to consume enough protein in order to cover all of the relevant repair and remodeling processes involved! 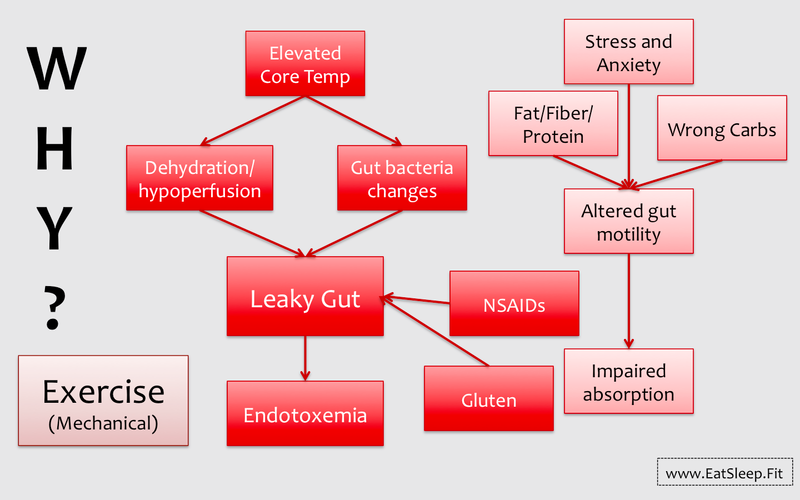 At lower protein intakes, you may be compromising some important adaptations to endurance training such as increases in enzyme activity, capillarization, and mitochondrial biogenesis. How do I get that much protein? 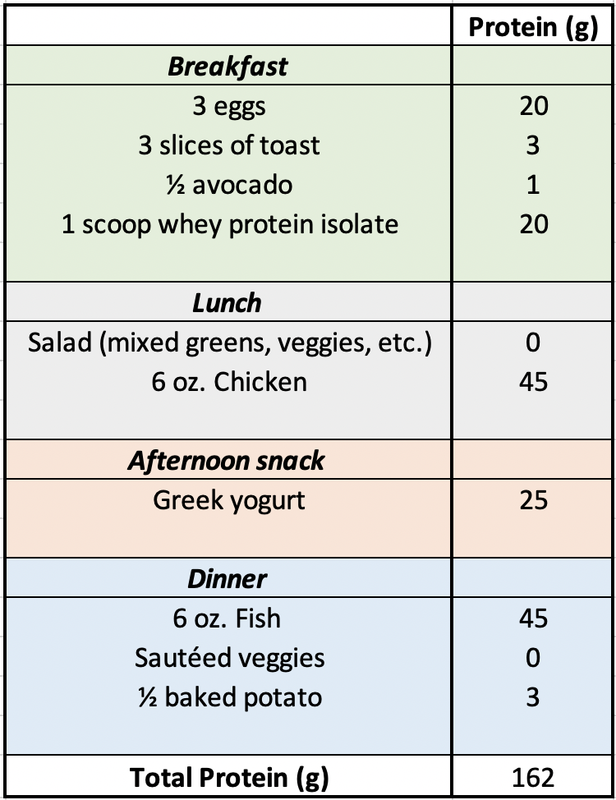 Let’s say you weigh 160 lbs, so we’re aiming for four servings of ~40 g protein, or three servings of ~45 g and one serving of ~25g, etc. It may require some planning but shouldn’t be that hard to achieve. Do pro cyclists eat that much? Yes, there are a number of reports (1, 2, 3) showing pro cyclists consuming 0.9 to 1.4 grams of protein per lb of body weight per day! Then a protein intake of around 0.6 to 0.75 g protein per pound of body weight would be more appropriate. Are higher protein intakes dangerous? Not in healthy people. It is beyond the scope of this article, but here is a nice overview on the topic. Should I track my calories? Perhaps for a few days, in order to see how much you’re actually taking in. There are several free apps including my fitness pal, and paleotrack. You may be skeptical if you’re currently not eating very much protein, but why not try it and see how you feel? I help people to optimize their diets and achieve their health and fitness goals more efficiently, more enjoyably, and more sustainably. Click here to schedule a free 15-min phone call, with no further obligations, to see if you’re getting the most out of your nutrition!